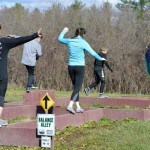 Athletes of all types—and all seasons—can gain strength and develop athletic literacy at a variety of Killington Ski Club/ Killington Mountain School Summer Sessions. KILLINGTON — With a variety of options to suit every athlete, the Killington Ski Club (KSC)/Killington Mountain School (KMS) 2016 Summer Sessions will be held in Killington using top-notch athletic facilities available on campus at KMS. The camps will be focused on athletic development, coaching young athletes in multi-sport environments that will help develop athletic literacy and capacity in a fun-filled setting. Summer Sessions will be directed by Gar Trayner, Olympian, former World Cup coach and current director of athlete development at Killington Mountain School. The camps will collaborate with iSport and Vermont Orthopaedic to supplement sports-specific content and to act as medical advisors and supporters. In addition, there will be world class national team and collegiate athletes and coaches delivering the sessions to provide a cutting edge experience for young athletes. Athletic conditioning camps, action sport camps and road/cyclocross camps are available. 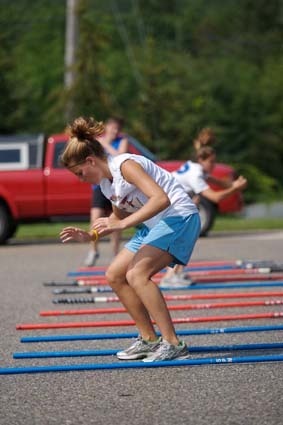 Athletic conditioning camps are for active kids, ages 10-18, from any sporting background. Camps will use a multi-sport approach utilizing pioneering techniques and workouts that are both fun and effective. Athletes will be supported in learning about movement literacy, athletic capacity, understanding of athletic lifestyle and overall healthy living, as well as building passion about their sport and the conditioning required for it. Camps will be staffed by expert coaches with Olympic, collegiate and academy coaching and competition experience. Sessions run as follows: No. 1, July 31 – Aug. 5; No. 2, Aug. 7 – 12; No. 3, Aug. 14 – 19; No. 4, Aug. 21 – 26. Action sports camps will feature freeski, freestyle and snowboard camps. These camps are aimed to provide a fun, safe and exciting learning environment for athletes to progress their skiing and riding regardless of age, gender or ability. Sessions run as follows: No. 1, Aug. 1 – 5; No. 2, Aug. 8 – 12; No. 3, Aug. 15 – 19; No. 4, Aug. 29 – Sept. 2. Cycling summer road camp is a great way to improve cycling and learn a lot about the sport. Through a combination of training rides, training races, skills work, drills, gym work, demonstrations and discussions, participants will become a better cyclist and, more importantly, learn how continue to improve long after the camp ends. This is not intended to be an easy camp with a lot of down time; rather, it is targeted toward 13- to 16-year-olds who are intrinsically motivated to take their road cycling [i.e. road race, criterium, and time trial] to the next level. Session runs June 12 – 17. Cycling preseason cyclocross camp will leave athletes ready and eager to begin the 2016-17 cyclocross season! This camp is targeted toward motivated 13- to 16-year-old junior cyclocross racers of any ability. There are many skills and “race secrets” involved in cyclocross, and this camp will cover most of them. Topics include cornering, sand, barriers, hole shots, run-ups, and off-cambers, to strength and conditioning methods and plans, race preparation, course inspection, race tactics, pit management, bike maintenance, set-up, and repair, the importance of tire pressure, preparing for training/racing in inclement weather, riding efficiently, video analysis, practice races, and pathways to the elite levels of cyclocross. There will be demonstrations, drills, training rides, on-bike games, discussions, and guest appearances from top collegiate and local pro racers. Session runs Aug. 14 – 19. For questions or more info, contact Gar Trayner at gtrayner@killingtonmountainschool.org.